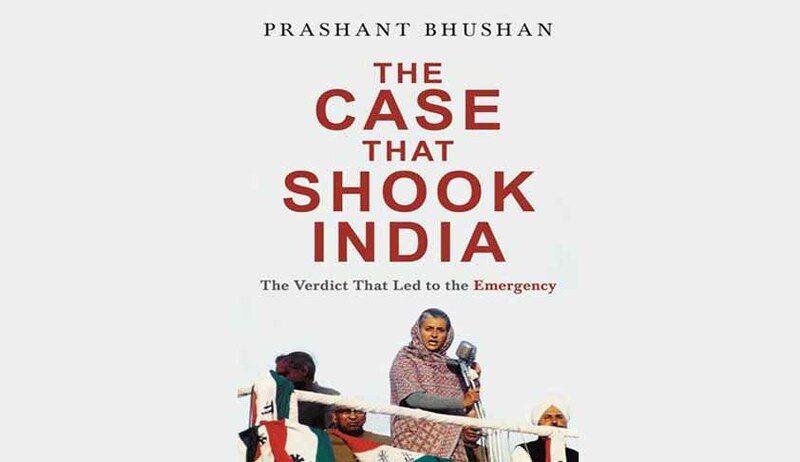 Penguin Ramdon House has decided to re-release activist and lawyer Prashant Bhushan’s ‘The Case that shook India’, which was first published in 1978. The book claims to be “a legal and a historical document” of the watershed case, Indira Gandhi v. Raj Narain, which acted as the catalyst for the imposition of the Emergency. In the book, Mr. Bhushan sets out to reveal the goings-on inside the court as well as the maneuverings outside it. He attempts to provide a blow-by-blow account of the courtroom scenes, tracing its journey to the Supreme Court. The book also includes the Supreme Court proceedings, which went unreported in the media due to censorship, and throws light on the constitutional amendments that were enacted. Mr. Bhushan is an eminent public interest lawyer in the Supreme Court of India, most known for cases such as 2G and Coal Scam. He is also an activist and a founder member of Swaraj Abhiyan—a campaign organization that focuses on various issues such as the environment, human rights, corruption and good governance. He was a prominent member of the group India against Corruption (IAC) and worked alongside Anna Hazare for the implementation of the Jan Lokpal Bill (Citizen’s Anti-corruption Ombudsman Bill).